I love dumplings. 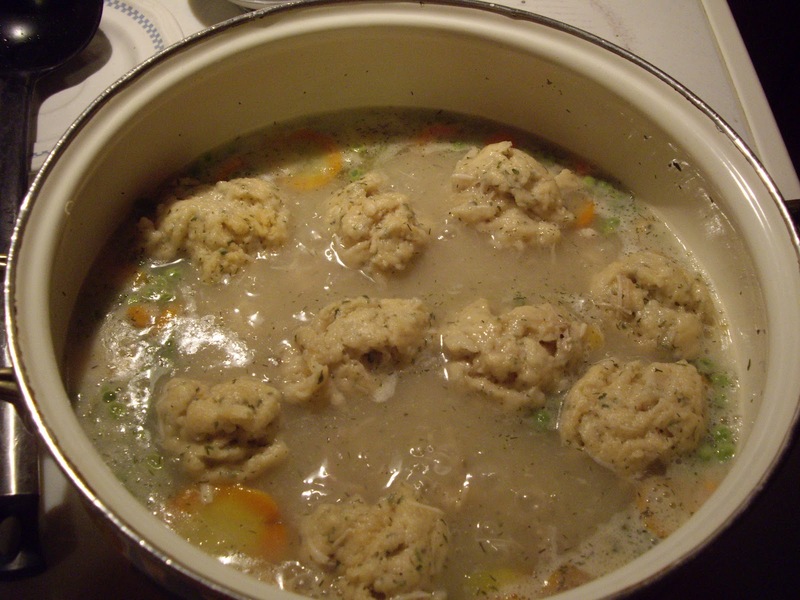 I have had plain chicken and dumplings, but I really prefer them in a stew. To make it stew, I add some peas, carrots and onion and thicken the broth. Either way you like to make them, they are still delicious. In a medium size bowl, combine the dry ingredients. Mix the milk and oil and add that to the flour mixture. Make sure your stew is bubbling. With a spoon, scoop 4-8 mounds and drop on top the stew. Cover the stew and let simmer for 10-12 minutes or until a toothpick is clean when poked into one of the dumplings. If you want to thicken the broth, combine 1 cup milk and 1/3 cup flour and stir into 2-1/2 cups boiling broth. Cook and stir until thickened and bubbly. Xavier Dumplings are Italian. They are classic Parmesan cheese dumplings. You will need a buttered cookie sheet. Combine the flour, butter and parmesan cheese in a saucepan over low heat. Stir until the butter has melted and is incorporated into the cheese and flour. Add the cream a little at a time until you have a solid dough. Remove from the heat and work in the salt, pepper, nutmeg, egg and egg yolk. It should be like a very soft dough that you could pipe out of a frosting bag. Either put the dough into a pastry bag and pipe out pea size amounts onto the baking sheet or drop pea size amounts from a spoon onto the sheet. Let them stand for 30 minutes. Meanwhile, bring some salted water to a boil. Drop in the dumplings and cook for 5 minutes. Add to the soup or stew of your choice. Sorry, I don’t have a picture for these. When I get one I will put up with the recipe. Thanks to my sis who found me this recipe.